We’ve all been there — you’re settling in for a long flight, when suddenly you hear something that works its way through your brain like nails on a chalkboard. It doesn’t matter whether it’s a loud snorer or a crying baby — you’ve heard it, and you’re not going to stop hearing it, at least not without help. That’s where a good pair of noise-cancelling headphones comes in, and fortunately for you, there are great options to be had no matter what you’re looking to pay. While the competition is getting closer than they once were, you’ll still be hard pressed to find a better pair of noise-cancelling headphones than Bose’s QuietComfort 35. It’s all right there in the name: quiet comfort. The headphones offer some of the best noise cancelling around in a package that is going to feel just as comfortable after an eight-hour flight as they did when you first put them on. They’re even wireless, so you don’t need to worry about snagging them on anything. The QuietComfort 35 headphones were already great, but Bose improved on them with the Series II model, adding voice support. The headphones work with Amazon Alexa and Google Assistant, letting you control your music, check your calendar, and all sorts of other things entirely hands-free. The Bose QuietComfort 35 Series II are the most expensive headphones on this list at $350, but if you want the best of the best, that’s what you’re getting. Are you looking for Bose’s world-class noise cancelling and comfort but don’t feel like you need voice assistant functionality or a wireless connection? Good news: You can get exactly that in the Bose QuietComfort 25 and save a fair amount of cash while you’re at it. 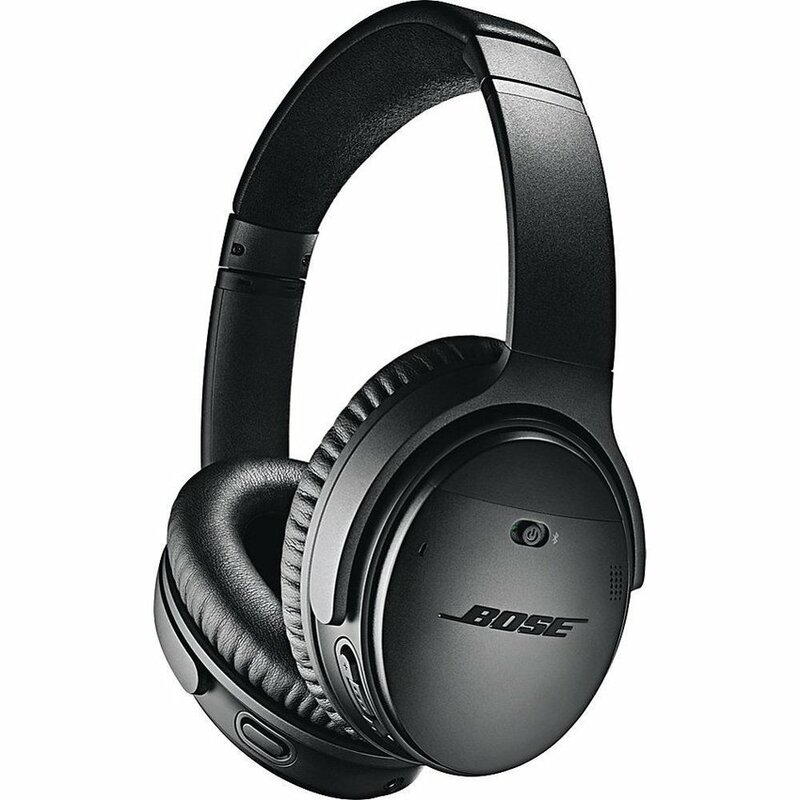 The noise-canceling you’ll find here works as well as it does in the Bose QuietComfort 35, but you’ll simply need to plug these headphones in instead of using a wireless connection. It doesn’t matter what type of phone you have either, as Bose provides the headphones with both Apple-friendly and Android-friendly in-line controls. As a plus, the QuietComfort 25 will even work when they run out of batteries, which is great news if you forget to change the AAA battery before a long flight. While they used to be much more expensive, you can now find the Bose QuietComfort 25 for $180 — nearly half the price of the QuietComfort 35. Considering how little you’re actually giving up, that’s an outstanding deal. These headphones might not have the catchiest name, but Monoprice has been steadily building its reputation as a brand to be taken seriously in the audio world for years now. The company sells everything from sub-$10 earbuds to audiophile-grade headphones costing in the hundreds, but fortunately you won’t need to pay anything near that high for the company’s noise-cancelling model. 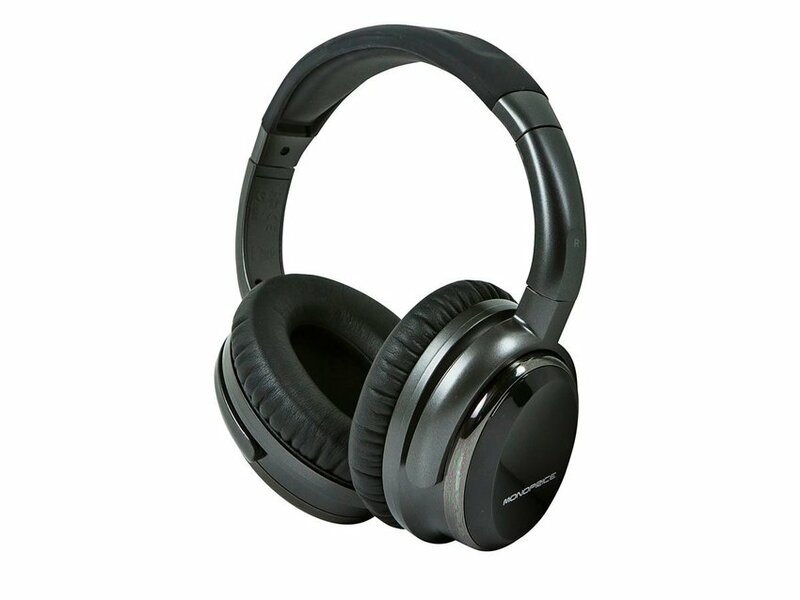 Like the Bose QuietComfort 25, these headphones require one AAA battery to power the Active Noise Reduction circuitry. 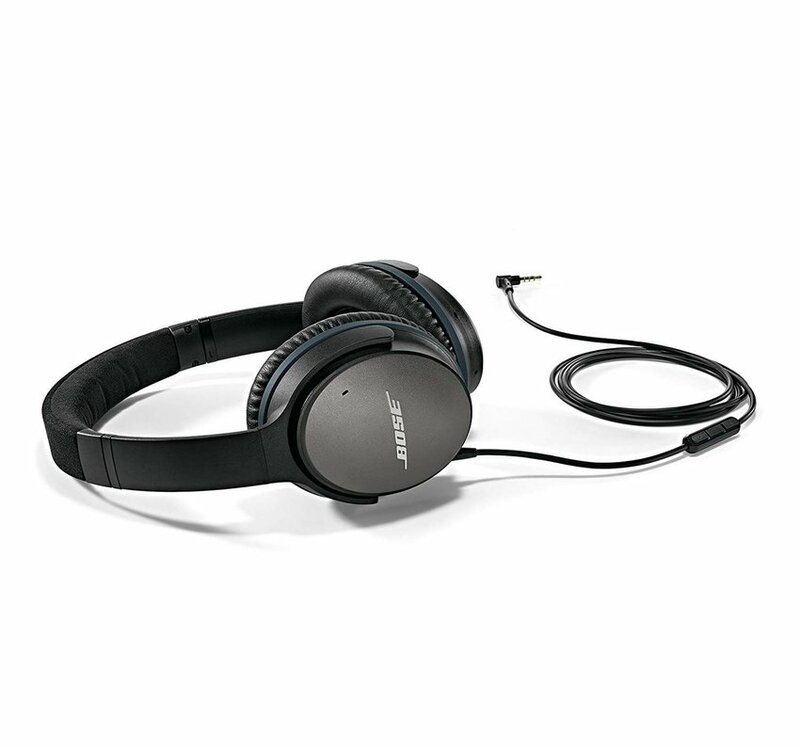 While you can’t expect the same level of performance when it comes to noise cancellation with this set of headphones as you can with the Bose, the single battery will provide up to 50 hours of play time, which is more than enough to get you through even the longest of flights. For the price of $50, the headphones include a 3.5mm to 1/4-inch adapter for use with a headphone amp or home stereo as well as a nylon storage case with an internal pocket for the cable and accessories. If you’re looking to pass the time on a flight without spending a bunch of extra money, this inexpensive set of headphones is a great option.